Education Technology & Services M&A activity was particularly strong in 2018, driven primarily by industry consolidation and increasing private equity interest in the space. LTM Q4 2018 revenue and EBITDA generally increased across the FS Index, with average growth of 4.4% and 2.3%, respectively. 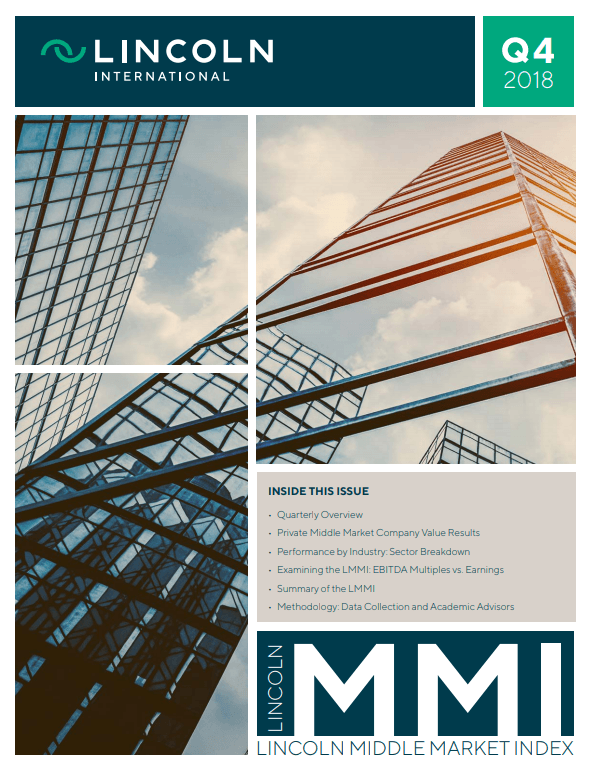 Lincoln International expects M&A activity – and valuations – in the Waste Services market to remain strong in 2019. The fourth quarter of 2018 saw continued momentum and M&A activity across all packaging markets. There were 31 EMS transactions recorded in 2018, up significantly from the 21 recorded in 2017. Lincoln International Environmental Services Stock Index increased 5.6% in Q3 2018. Companies in the HR Technology Services index are trading up an average of 52.6% over the last 12 months.